Learn about the state of the art in building artificial membranes and synthetic biological devices, and in constructing mathematical models for their dynamics at multiple time and spatial scales with this comprehensive book. 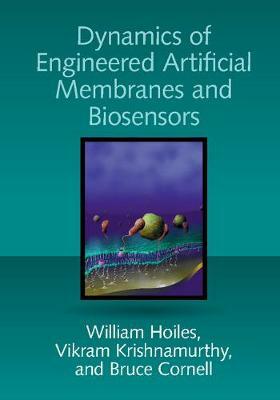 Drawing on recent advances in bioengineering and biochemistry, it describes how to engineer tethered bilayer lipid membranes, bioelectronic interfaces, high-resolution biosensors, and diagnostic devices for non-invasive cellular measurements and electroporation. Multi-physics models combining atomistic (molecular dynamics and coarse-grained molecular dynamics), mesoscopic (Poisson-Nernst-Planck), and macroscopic (reaction-rate theory) dynamics provide a complete structure-to-function description of these devices. Experiments and dynamic models explain how anti-microbial peptides penetrate membranes, how molecular machine biosensors built out of artificial membranes can detect femtomolar concentrations, and how electroporation can be controlled. Supported by atomistic simulation code online, this is essential reading for researchers, students and professionals in bioengineering, chemical engineering, biophysics, applied mathematics, and electrical engineering.